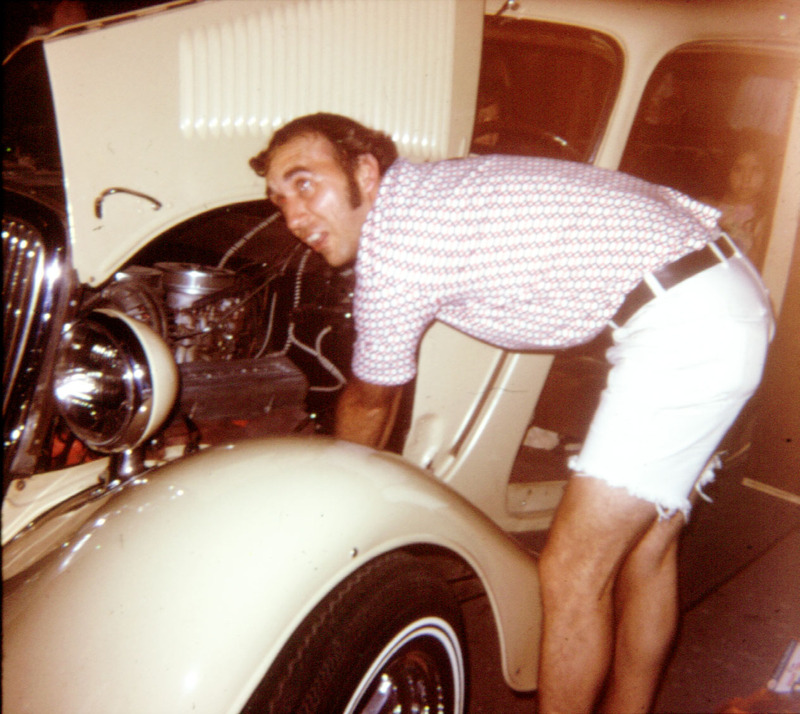 Skinny Kenny Chrismer, checking something under the hood. 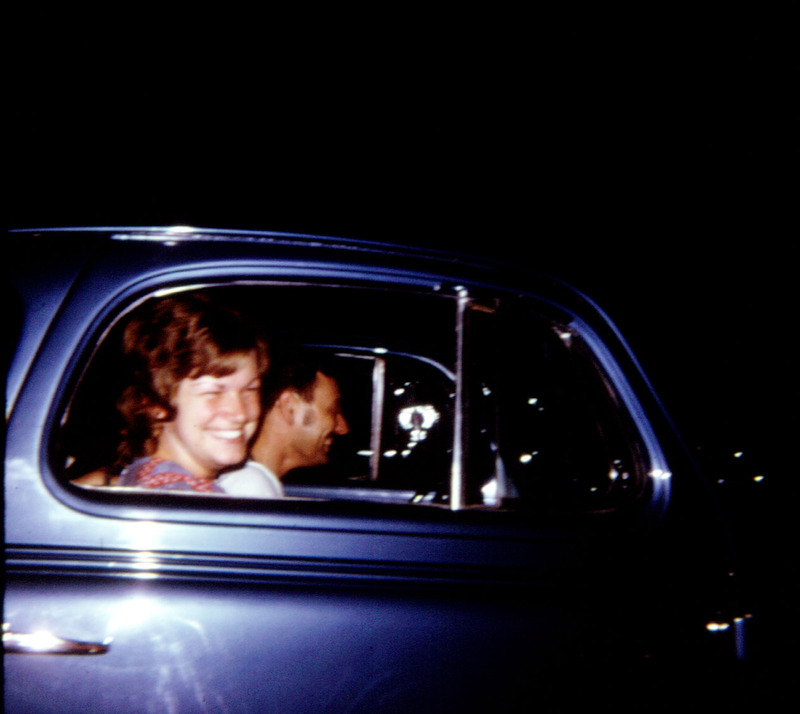 Back when I was a kid, I remember piling in to the back seat of Dad’s ’34 sedan, and cruising with the club on several occasions. These were not what we now know as “cruise nights”, where people show up early and camp out all day with EZ Ups and lawn chairs. They were more along the lines of casual club runs, where they would meet up at a common location and make several stops along a route. 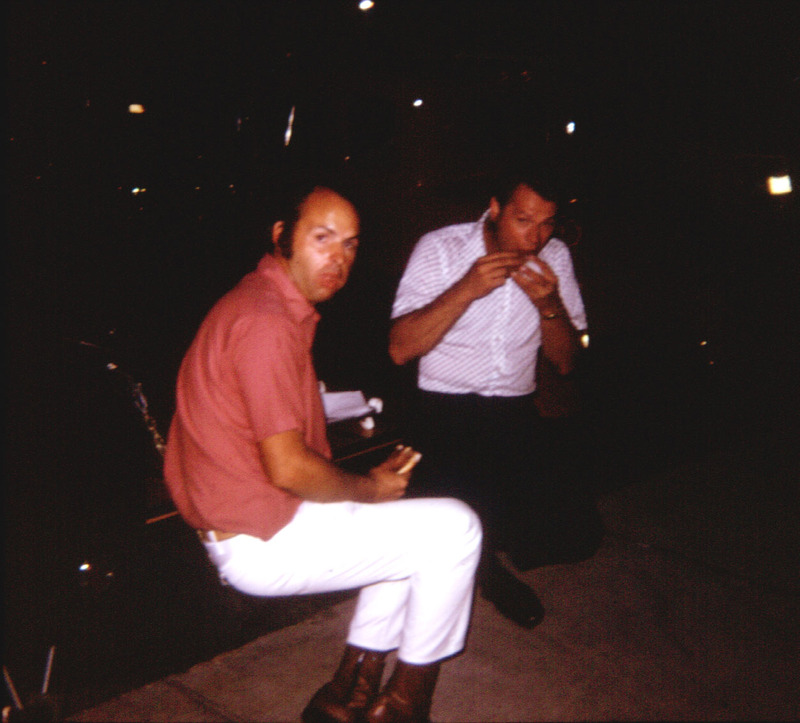 The particular night, in the photos, was a “Hey, let’s hit all the Steak-N-Shakes” in the StL area.” night. I’m sure that we did some pass throughs, and made a few stops, but the point is, they were not “static” events, where it was about parking and staying for a long time. One stop may have been to order a Cherry Coke, another stop to grab a burger and fries, and another stop to have some ice cream or a shake. With each stop, there was opportunity to get out and hang out for a little while. With these kinds of events, we had a blast. 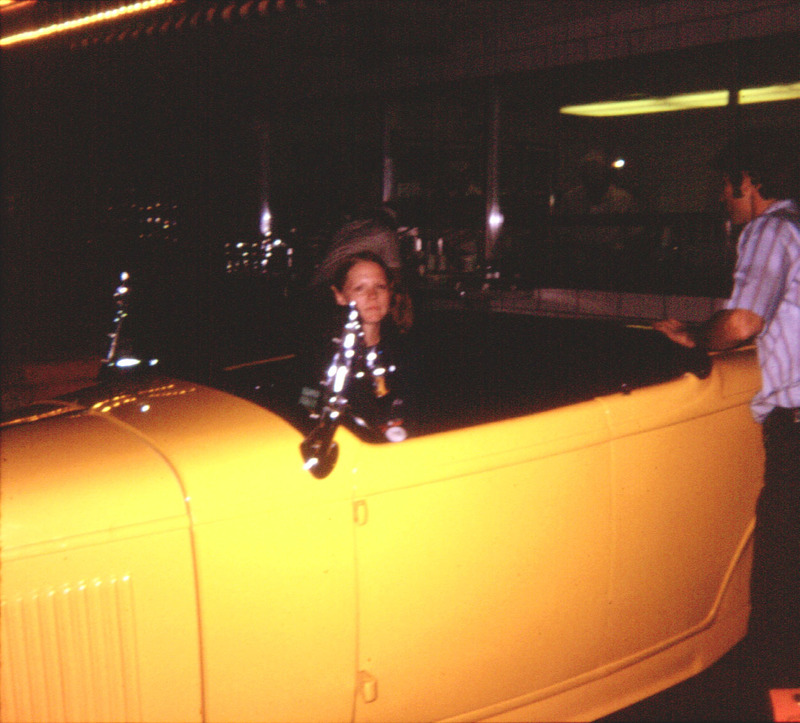 They were family events, so there was always some kid trading going on, where we’d ride in various hot rods for a little while. Gave me an appreciation for other hot rods than just Dad’s sedan! Another benefit of this kind of “cruise night” is that more of the general public get to enjoy the cars, too. Because you are driving from location to location, folks get to see the line of cars as they are moving down the road and at the next stop. I’m sure there are still guys that do these kinds of things, but I know that it’s a lost art, thanks to several cities with “no cruising” ordinances, but heck, these kinds of events are not “stop and loiter”, in nature, the very thing that those ordinances are about. So…it’s time to break the mold. It’s time to redefine “Cruise nights”, to be about actually cruising, and not an extended parking night. 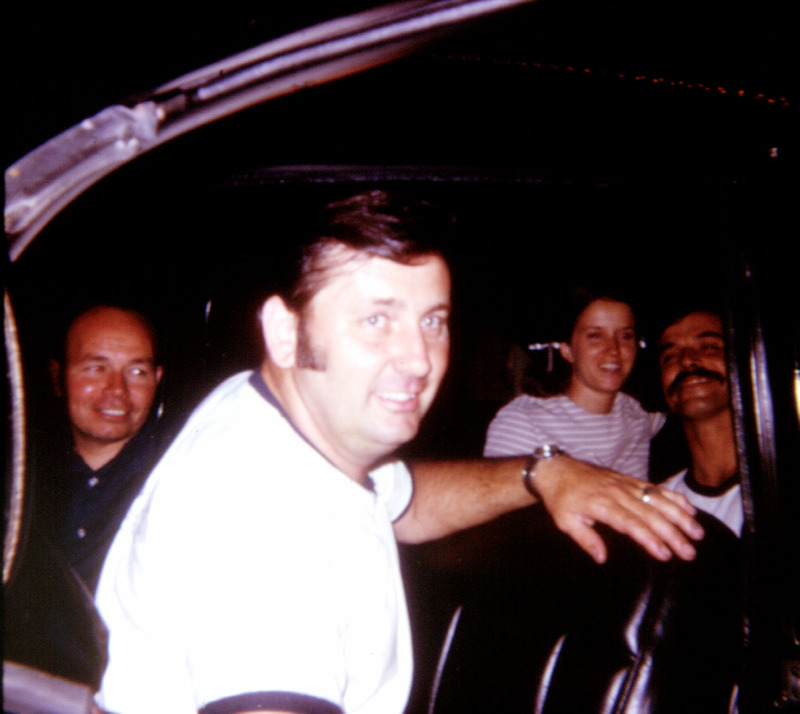 Porkey Leake, Cal Tiefenaur, Margaret and Rodger Bell. 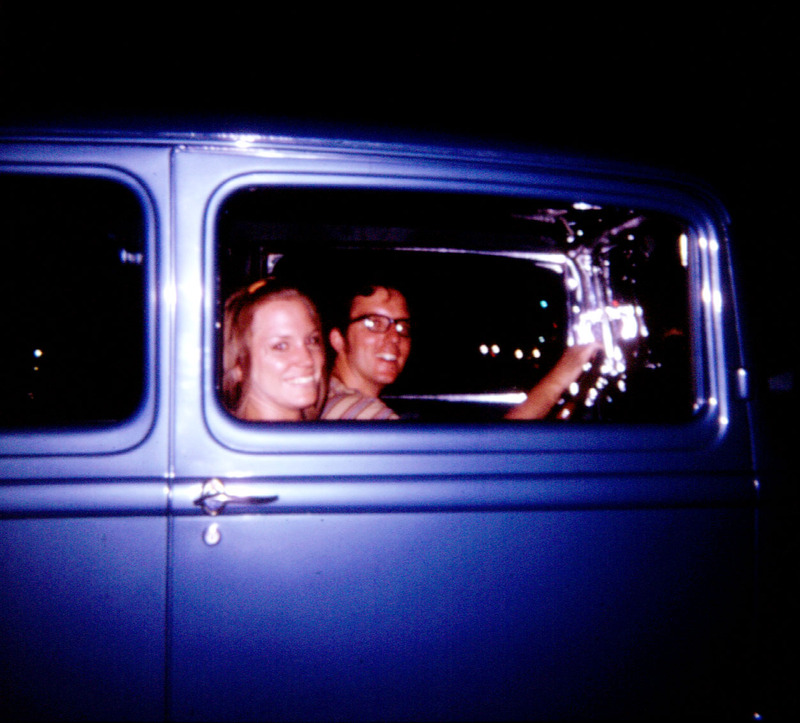 Dave Conrad and his date, in his ’32 sedan. Bret, so true. 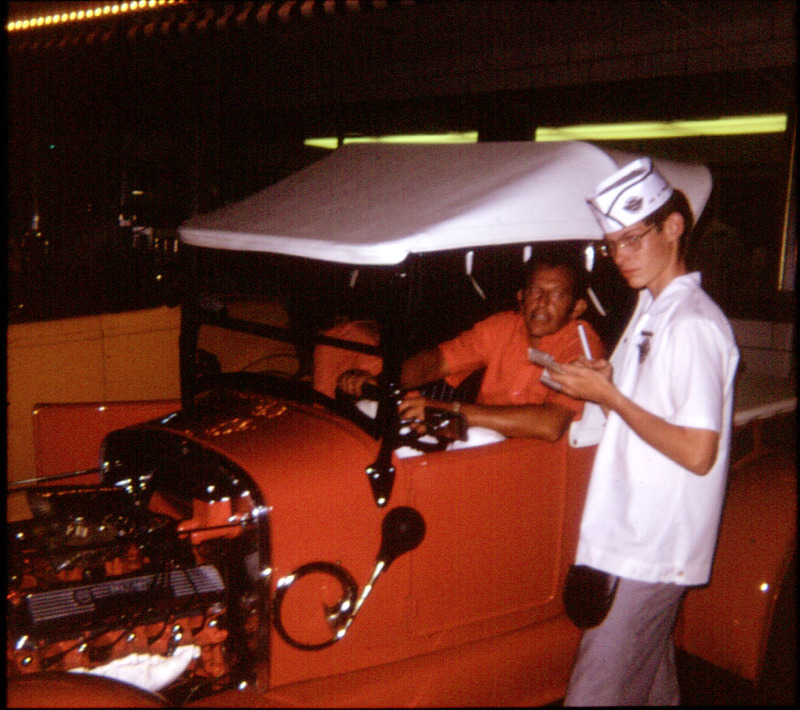 Back in high school, Frish’s Big Boy was the place to cruise in the local town. It was just outside of town. A root beer stand was on the other side. You cruised between the two. To see and be seen. The hot cars parked in the back row and went to race (?) at the sand pit (backtop from the hi-way to the river). In home town we had a root beer barrel (barrel shaped building, sadly now gone!). Nowdays there no place with car hops or place to eat in the car even. So how can you be seen if everybody is inside eating? I miss the good old days!! And I am old! !